We all know that nuts and berries make a fantastic snack whether you-re on the go, driving or sitting at your desk. This quick-grab pack is the ultimate way to indulge in the very best of nature's finest healthy treats. Perfectly portioned selections of oven roasted hazelnuts and pistachio nuts with raisins and goji berries. 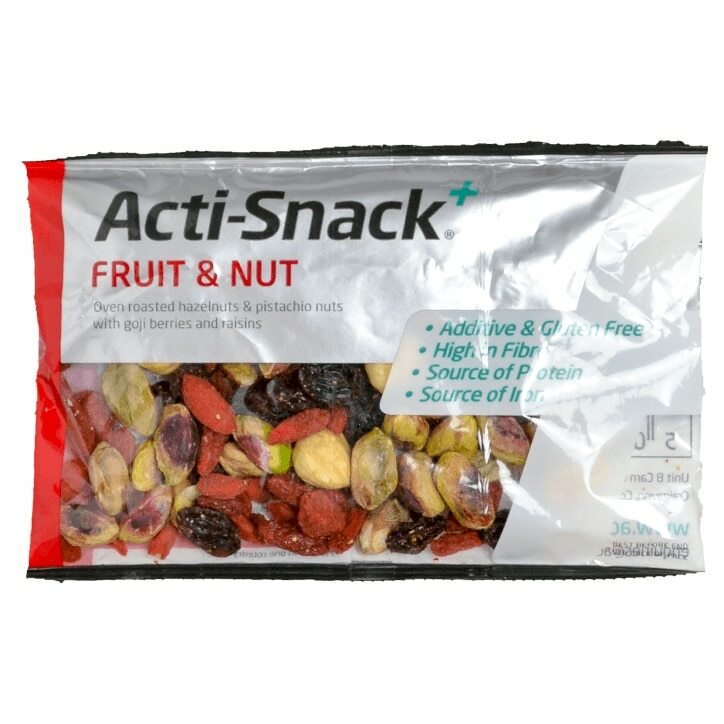 High in unsaturated fat, vitamins, minerals and micronutrients, all in an individual snack pack you can carry with you. Goji berries (25%), hazlenuts (25%), pistachio nuts (25%), raisins (25%) (cotton seed oil).